This week on my Heading Home blog and on social media, I had the fun privilege of finally being able to reveal my memoir’s title, cover, and release date! Isn’t she pretty? Huge props to the design team at Discovery House for the gorgeous cover. And guess what? If you pre-order now, you’ll get the pre-order price guarantee on Amazon, which means you’ll only get charged on April 1st but you’ll pay the lowest price that the book reaches between now and then. 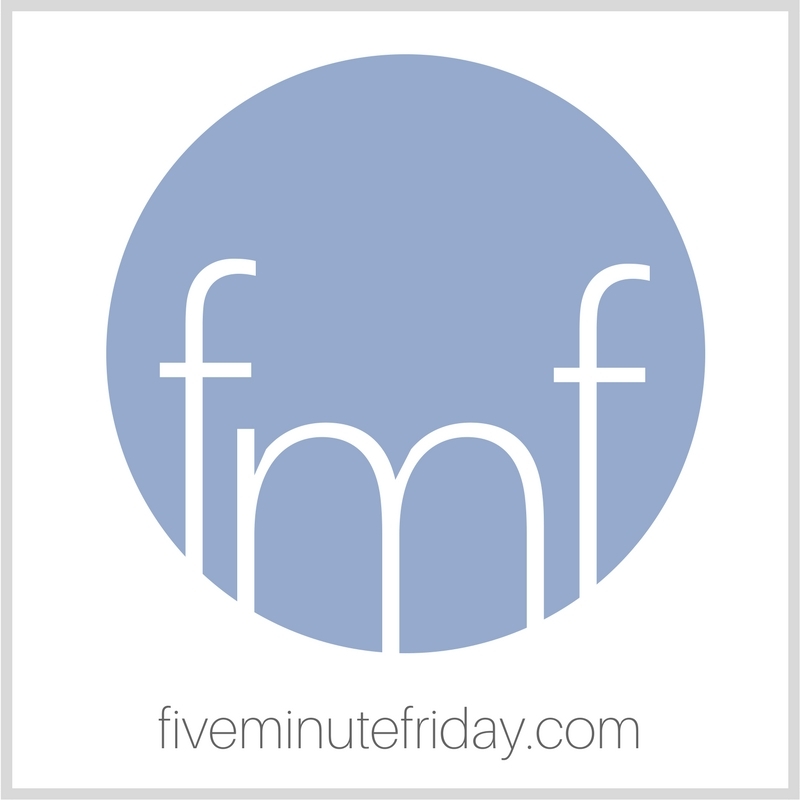 If you’re new to Five Minute Friday, you can learn all about how the link-up works right over here. One of our Five Minute Friday community members has been battling terminal cancer for quite some time. As I pray for Andrew, presuming he’s nearing his turn to cross the river, I ask God to give him a safe and secure place to land on the other side. Then it occurs to me that if we are in Christ, God not only promises a firm, welcoming place to land — He promises to guide and direct our entire journey, even before the moment of takeoff. He tells us how fast to accelerate, when to lift off the ground and trust His wings to carry us. He tells us when it’s safe to switch over to autopilot and how to navigate safely through the storms. He buoys us in the midst of turbulence and gives us the grandest views of His glory amidst blue sky and fluffy clouds. He navigates for us and with us, steering us in the right direction and welcoming us back on course when we veer off track. God does so much more than promise us a safe place to land. In Him, not only is my final destination secure and paid for, but my entire flight in this life has already been determined and planned. What comes to mind when you think of the word, PLACE? Share with us in five minutes or less! It’s your turn! Link up below, then be sure to visit your link-up neighbor and leave an encouraging comment! Side note: This post contains affiliate links. If you choose to make a purchase by clicking through to Amazon via this site, we’ll get a small commission at no extra cost to you. Thanks in advance for your support! Ok, I LOVE the video–quirky and beautiful and a group of people doing church in an unexpected place :). Isn’t it fun? Thanks for reading, Anita! Kate, what a great post, and a beautiful reminder that we each have a place. And that God sees and pilots us to the places where He wants us to stop for a bit before we move on toward heaven. I loved this post. Thank you! My pleasure, Jeanne! Thank you for being here! Ooh, you should check out their other songs! So good! I love this post. I am praying for Andrew —- and this is all SO very close since my father in law just “crossed the river” on July 2. One of the characteristics of the three years was how very different he and I were. “Place” (earthly or spiritually) wasn’t something (in my opinion) that he fretted about. He was secure in his faith and …… struggled with having to move in with us but not in a truly “this is so horrible” kind of way. I am so relieved that he has at peace more now that he has crossed the river. That is a blessing I wouldn’t have understood as well had I not been living in the same home with him. Great post, Kate! I guess we all long for a place to rest and belong – what a relief to know a father who’s made room for us! And yes, your cover looks beautiful! Lots of strength on this last stretch towards the launch! Kate, I found myself praying for Andrew last night so to come this morning and see the prompt and the mention of Andrew, moved me deeply. May you always foster a community filled with compassion. And the song…. definitely going to check out their other songs! Blessings! Kate, I am grateful you mention our dear friend, Andrew. My heart is burdened by his pain and the ‘place’ he is in right now. Barbara and he are in my ever-constant prayers – the ones that never get an amen….without ceasing. Excited about your book. Love the title, cover, etc. Would love to be a part of the launch team. I’m so excited for you, Kate! Your book’s cover is beautiful and the preorder is so REAL!! Congratulations! Sending prayers for Andrew and his family. What a beautiful tribute to him! What a comfort to know that no matter the place we are in, God is with us. He chose to make His place with us! Comforting to know there is always a safe place we’ll land. Thanks, Kate! Kate, Thank you for this post. Andrew is in my prayers. Just ordered your book! Can’t wait to read it! I adore the musical accompaniment! Such a variety of instruments. I want more. I love the last line. No co-piloting for the King of the universe, he ever so gently demands the position. Thanks for this, Kate. God is our Alpha and Omega, Beginning and End, so you’re right, He is in the whole journey – for Andrew and all of us. I didn’t link up because of guest posting somewhere but Kate, that line. Wow. SO powerful friend. It speaks to my heart where I am right now, trusting he is sovereign and leading every step of the way, and that in my humanness when I do veer — he isn’t quick to leave but rather quick to help! Why do we so often have a wrong view of our heavenly father? This is magnificently written and makes me feel like a giddy child inside. Like hope really is alive. And I am guessing this is how the disciples felt as they shared the hope they saw with their own eyes after he arose to Heaven.